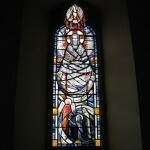 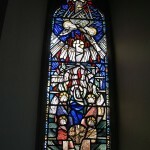 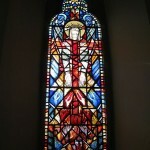 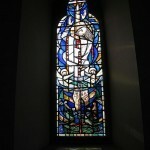 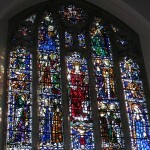 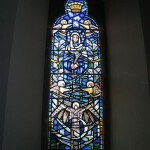 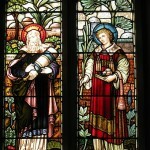 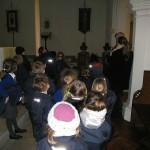 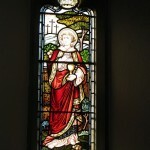 Class 1 visited our local church today, the church of St John the Baptist, to have a look at stained glass windows. 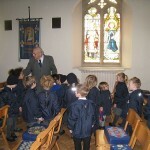 Mr Cheeseman told the children about the characters featured and we had fun looking for hidden images including a little robin in one of the windows. 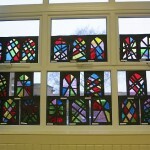 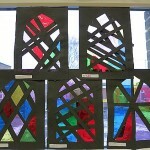 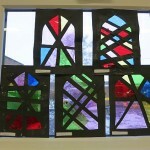 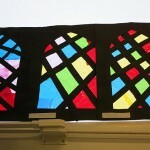 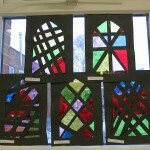 Back at school the children made their own stained glass windows.